Make this sporting event like no other. The sports are on and bounce down is about to begin. Get your supporting hats on and let us get ready to roll to the sporting event shall we. 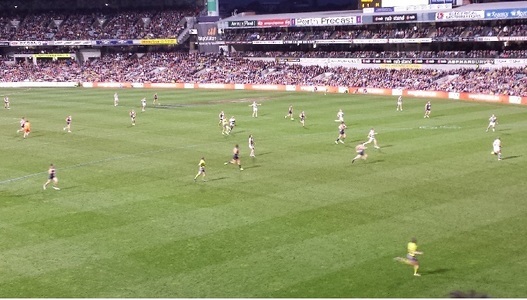 Are you possibly seeing the West Coast Eagles or Fremantle Dockers at Patterson Stadium? Perhaps the Western Warriors at the WACA or Perth Glory at NIB Stadium? Our limos will get you to the sporting action in the most sporty and stylish way, on time ready for the commencement. Forget a paying for a taxi, this is the way. Forget frantically finding lifts, finding parking or being stuck in painful traffic making up boring car games, or pointless bets to pass the time. Just like the ball on the field, kick back and keep your spirits swinging heavenly high for your triumphant team with car celebrations of your own as you ride in your limousine. No better brilliant way to show the opposing silly supporters that your team means big business than arriving in complete charge ready for the event ahead. Intimidate the opposition from the get go with transport travel that sets you from them, and your team from theirs. Win or Lose it definitely won’t matter, trust us. Knowing your rolling in the hired luxury of a Perth Limo Experience there and back you will have your own win to grin about. Hire our services now for the ultimate sporting day spectacular. It’ll go down beautifully with your burger and chips, cheering and chanting, singing and swirling and having fun. So when you are ready to get the pre-sporting event underway, simply contact us. We can tailor any type of package that you would like, that will best fulfill your sporting event needs.